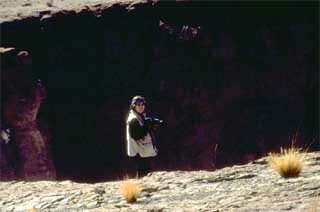 Potasi is a small mining town near the foothills of the Andes. 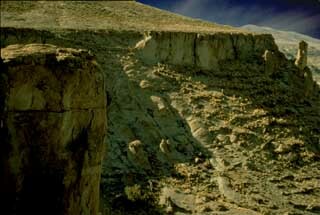 Once famous for its thriving silver mine, Cero Rico, a still a prominent feature of the city. 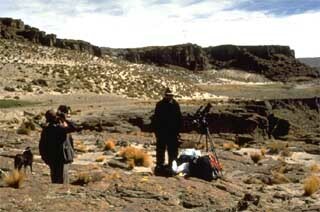 We were 2 hours outside of Potasi, 15,000' up in the foothills of the Bolivian Andes overlooking a large canyon about one half mile from a Quetuan Indian dwelling. 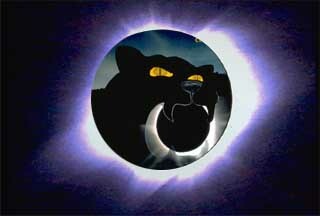 During totality, the Quetuan indian family set their dogs to barking, beat on pots and pans, and lit 2 bonn fires to scare away the jaguar monster believed to be eating the sun. 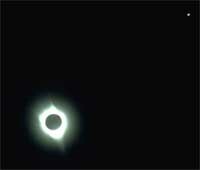 The beautiful assymetrical corona had large extended streamers that filled the sky during totality.